These are so pretty, I am trying to see how you have that top one suspended in mid air? I might have somewhere you can 'send' these tomorrow...! 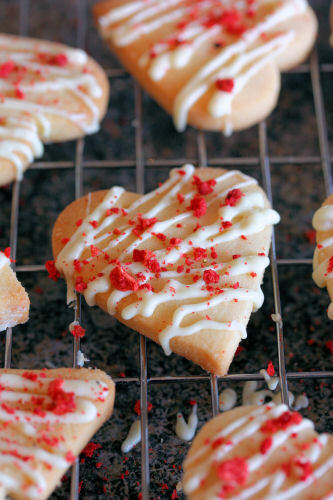 i've never seen freeze dried strawberries, but GOOD CALL pairing them with white chocolate! 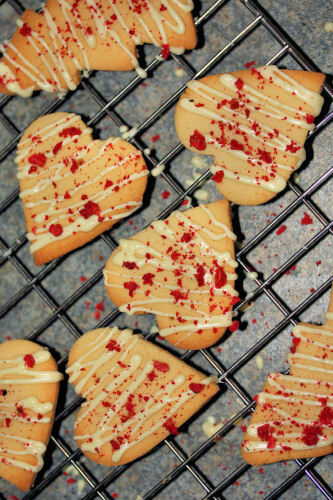 You're too clever Nic - they look amazing! 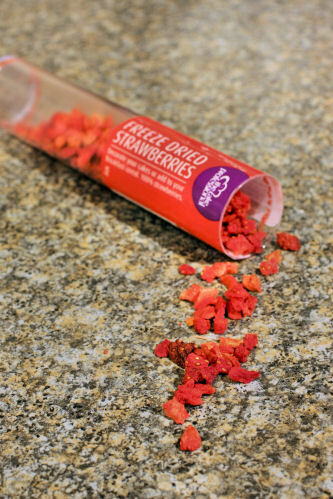 Love the idea about the freeze dried strawberries! Something simple but with tons of flavors. Can't wait to try these. These are stunning Nic! Your photos are beautiful. Beautiful photographs, especially the Christmas Trees. Thanks to Heston I discovered freeze dried strawberries. 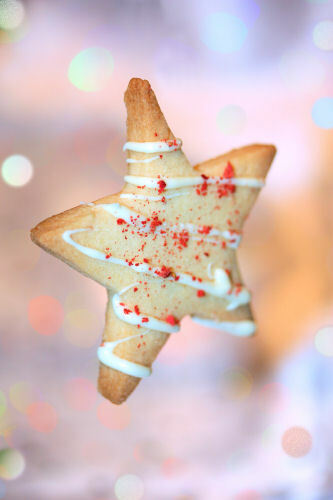 This Christmas Cookies looks delicious and adorable. I love Christmas Chocolate Cookies most. 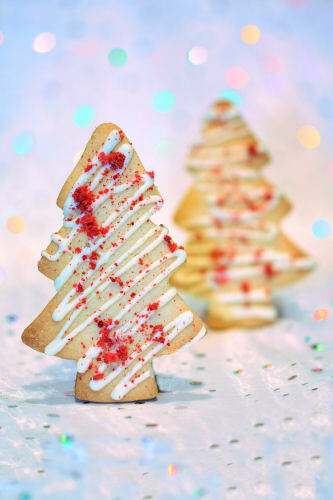 You share creative Christmas Cookies desserts.